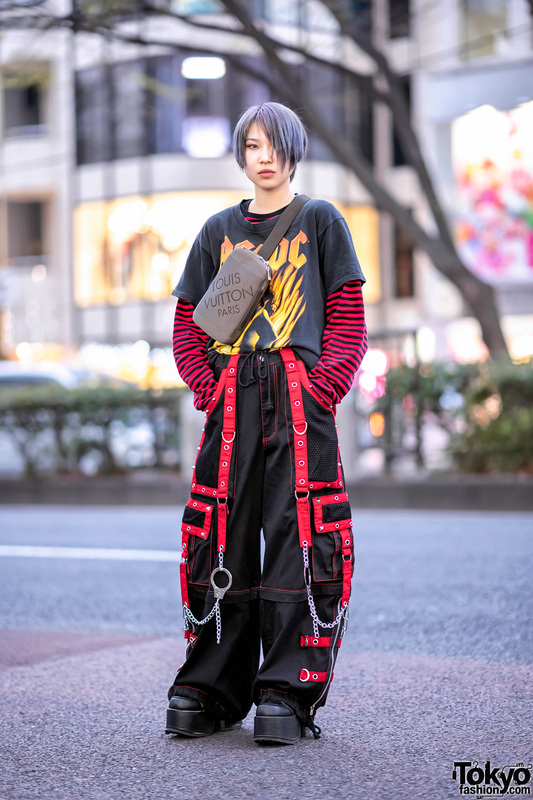 On a recent Harajuku outing, we caught up with Ribonchan, an 18-year-old Japanese student who we often feature on our street snaps. 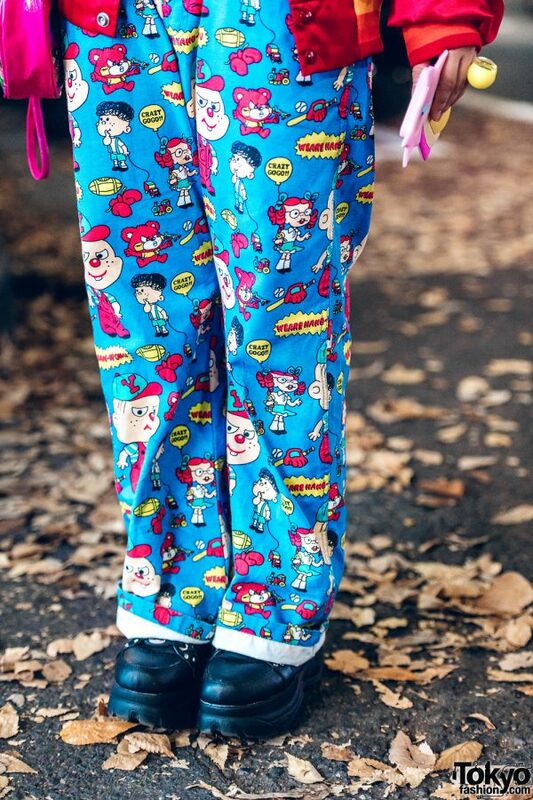 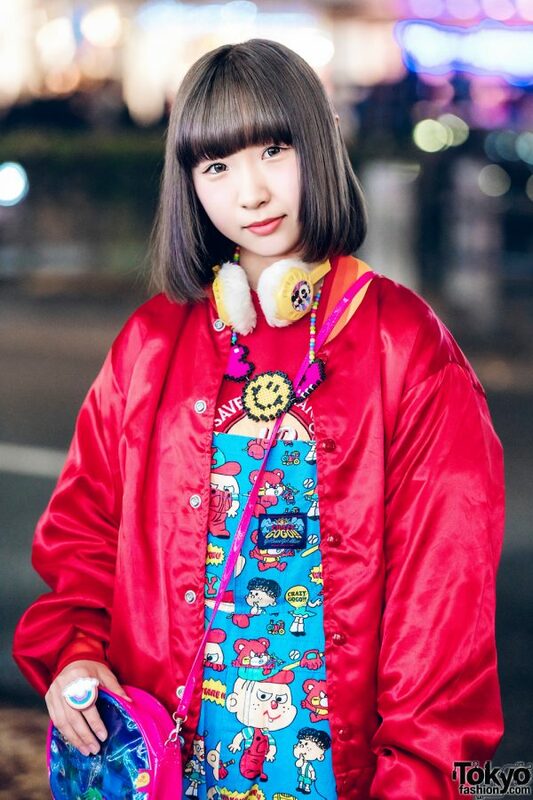 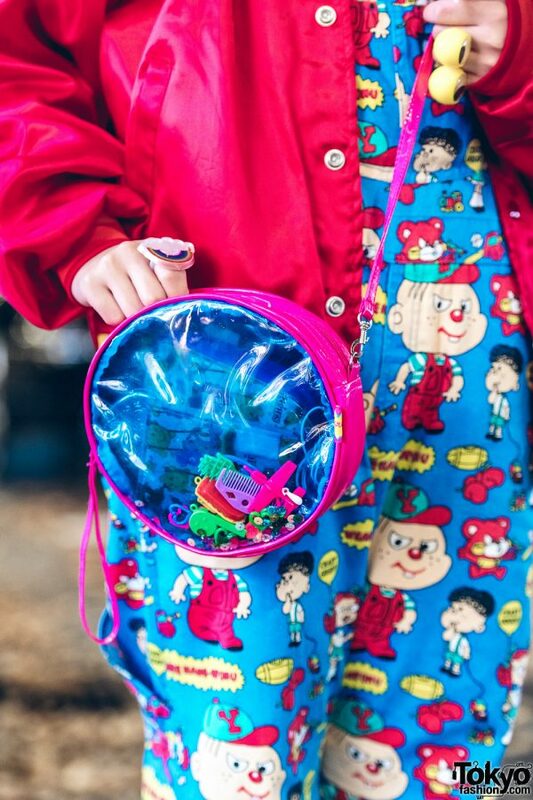 Today, Ribonchan is wearing a colorful printed outfit which consists of a red satin varsity jacket with contrasting orange striped cuffs from Kinji, which she wore over Grand Ground comic print overalls and a red Spinns sweatshirt. 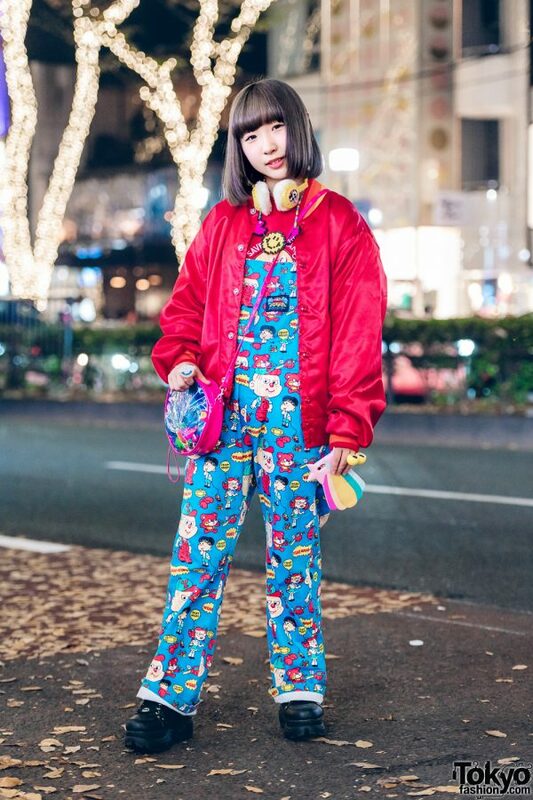 She completed her look with platform lace up boots from Yosuke, and a round see through sling bag, which she said she bought in Harajuku. 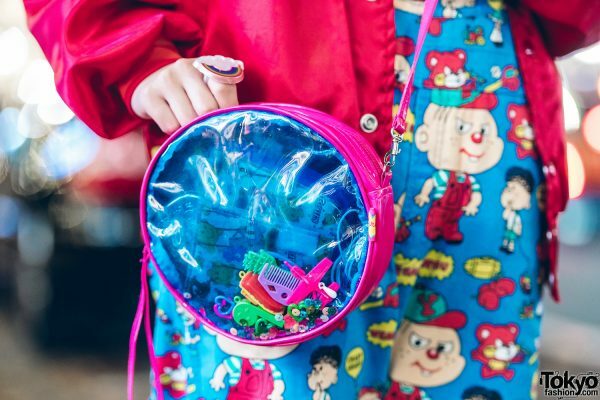 Her kawaii accessories – from Spiral Toy Shop and handmade items – include panda print ear muffs, a smiley face and hearts pixel bead necklace with colorful beaded chain, cute cocktail rings, and a colorful falling star phone case. Ribonchan told us that her favorite brands are 6%DOKIDOKI and Kinji Harajuku, and that she listens to Kyary Pamyu Pamyu. 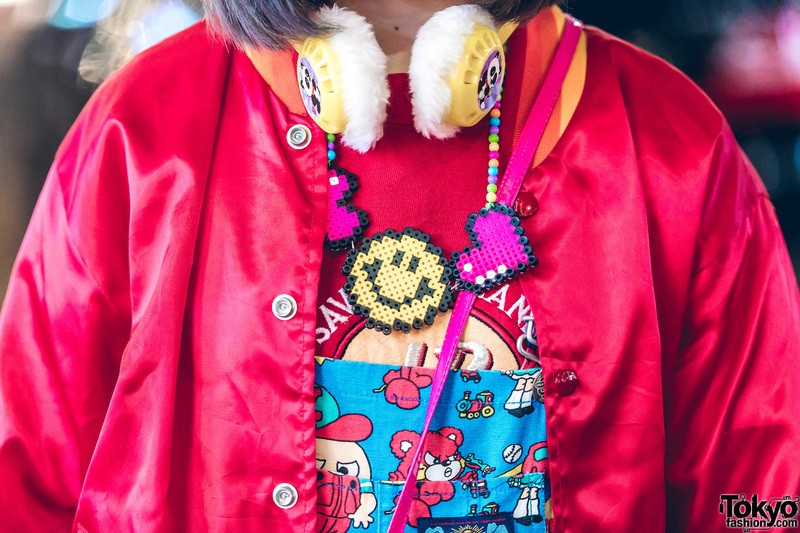 For more on Ribonchan and her kawaii fashion style, follow her on Instagram and Twitter.